Product #21104 | SKU 037319 | 0.0 (no ratings yet) Thanks for your rating! This Rycote CC-Hotshoe Camera Clamp Adapter allows standard shoe-mountable items to be used in a 21/25mm camera clamp. 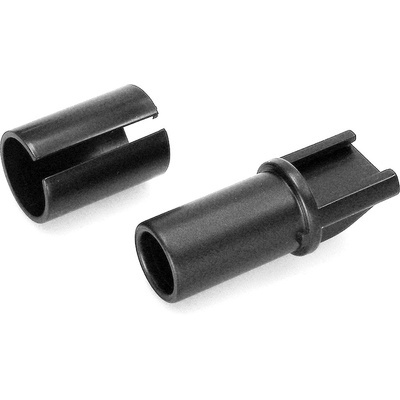 The adapter ships with a removable sleeve that acts as a shim for providing a snug fit into 25mm clamps (Sony and Canon). Without the sleeve, the adapter easily mounts the 21mm clamps found on JVC and Panasonic brand cameras.